On 24th February 2016, JIMS organized Guest Lecture by Mr. Abhinav Sharma, who holds a Master Degree in Management from MBA, Business Administration, Management and Operations (S.P Jain Institute of Management & Research) who has prior work experience as a DGM with Jabong.com. Now he set up his own company named as Focus Digit. 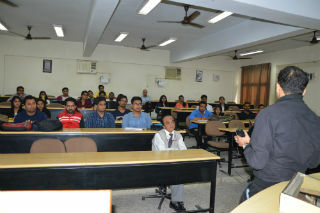 He took a session on “SUPPLY CHAIN MANAGEMENT IN E-COMMERCE” in Operation Management Profile. He shared information regarding Jabong and also about the warehousing activities. He also discussed about functioning of other E-commerce companies functions, profits, importance and its working. 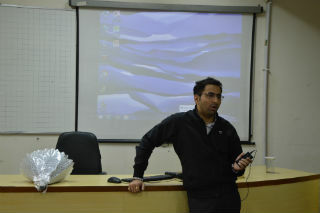 Mr. Abhinav explained their operations, supply chain management as well as growth prospect in this field. He entertained the questions of students and also discussed examples and helped the students to acquire knowledge with the help of case studies related to supply chain management. The session was interactive, learning and helped students to enhance their knowledge regarding operation field. He informed students about the warehousing Activities and how operations as a team are most important to any of the organization.